And now that MSA went so well I can say that the stage race training hit was a great success! I had raced day1 of ST3 pretty hard and so backed off on day 2, but then got caught up in racing again on day 3 and was a little worried that maybe I overdid it, but 2 days of recovery and then 2 days of light course prep had me feeling sharp and ready to go. It was the 25th anniversary of MSA hosting a World cup or championship event. 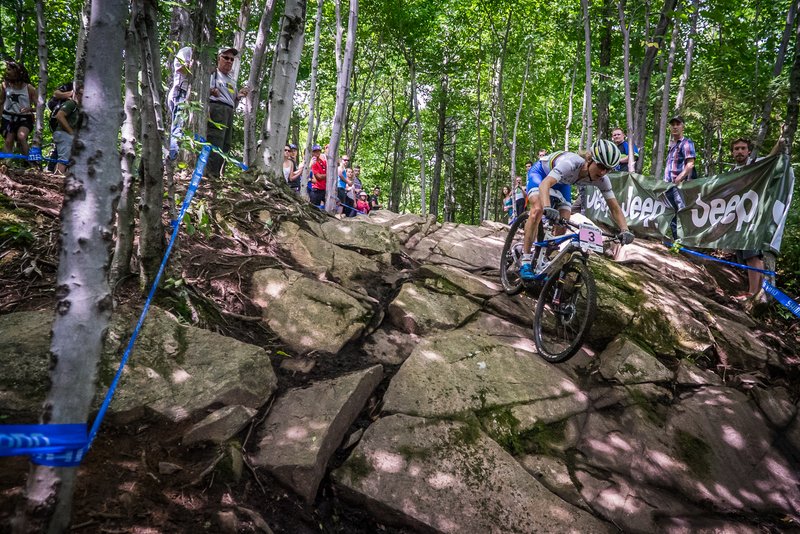 I always love racing here, the course is tough technically and physically allowing no hiding. You have it or you don’t. It suits my aggressive “go for it” race style and the fans create an awesome atmosphere. The course was its usual gnarly self with the addition of a new rock section and was super slippery the day before the race. I chose to ride my full suspension Orbea Oiz with Fox electronic lock out system and Maxxis ikon tires (18psi). It was the perfect set up to have me feeling fast on the descents and able to put out power on the climbs. I had a decent start but not good enough to not get caught in traffic on the first switch back climb and stuck going slow on the descents. By lap 1 Jolanda already had an unsurmountable 50 second gap. With another half lap I was clear of traffic but the gap had grown to 1.22. I set into chasing down the win feeling great physically and technically. Lap by lap the gap shrunk down to 34 seconds. Not enough, Jolanda remains the woman to beat. My teammate Katerina Nash rode to 7th in her first World cup of 2015 and Georgia to 25th and we were able to claim the Top Team award for the first time this year. 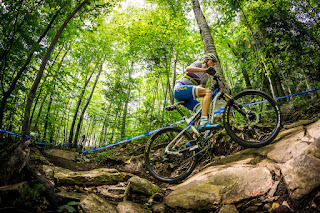 Emily Batty also took a strong 4th. After cheering on the guys and our 3 Luna U23 riders, all of whom were able to finish the MSA World cup for the first time, we celebrated with team dinner and then the MSA 80’s party. With a few hours sleep and Madonna still playing in my head we were back on the road, this time to Windham for the next stop on the World cup circuit.